Osborne: Ministry of Justice to find extra £249m in "savings"
The Ministry of Justice (MoJ) is to find an extra £249m of “savings” this year as part of government measures to reduce public debt, the Chancellor, George Osborne, revealed today. But the MoJ has insisted this will not affect legal aid or access to justice. This latest announcement takes the budget cut at the MoJ this year to nearly £1bn. The MoJ was already committed to reducing its budget from £7.1bn in 2014/15 to £6.4bn in 2015/16, under plans released by Mr Osborne in March’s Budget. This was a greater cut than had previously been expected. In 2010, when the coalition was elected, the MoJ spent £9.9bn. 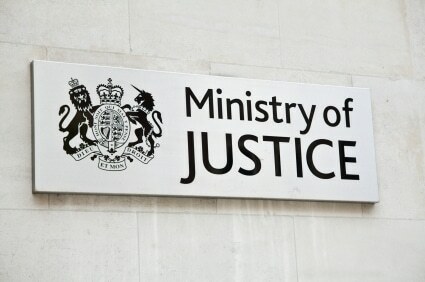 An MoJ spokesman emphasised that “cuts to legal aid or access to justice does not form part of this package”. He identified £144m of savings from: cutting down on in-year spend (reductions to travel and overtime, restricting the use of consultants and agency staff) – £58m; renegotiating contracts – £10m; and “other efficiency measures, and measures to ensure that MoJ is able to keep more of the income it generates”. The other £105m will come from “reprofiling certain capital projects and other savings”. 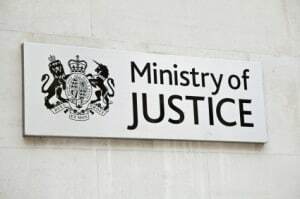 ‘Reprofiling’ relates to the timing of various projects, and the MoJ said it is “in the process of finalising” the details of which projects will be affected. The spokesman added: “The department is committed to playing its part in the government’s deficit reduction plans and delivering significant savings for the taxpayer. In March the only source of savings mentioned was Sir Brian Leveson’s report on the efficiency of court proceedings. In all, Whitehall departments that do not have their budgets ring-fenced have found a further £3bn savings this financial year, Mr Osborne said – “a significant first step toward the savings required” and equivalent to around 3% of unprotected departmental spending. They are being achieved through “further efficiency savings, tighter control of budgets to drive underspends in year, and driving through asset sales”. A further £1.5bn is to be raised through selling off the government’s remaining stake in Royal Mail. Excellent. The Courts are already (literally) falling apart, as well as being short staffed. More of the same then.